As San Francisco’s corporate climate continues to become more and more dominated by tech companies, the question of how they are giving back to the community is on many San Franciscan’s minds. We see CEOs like Marc Benioff of Salesforce in the news talking about how tech companies need to be better at giving back, but what are they really doing to address the major problems we face in San Francisco? That’s why R.O.C.K. 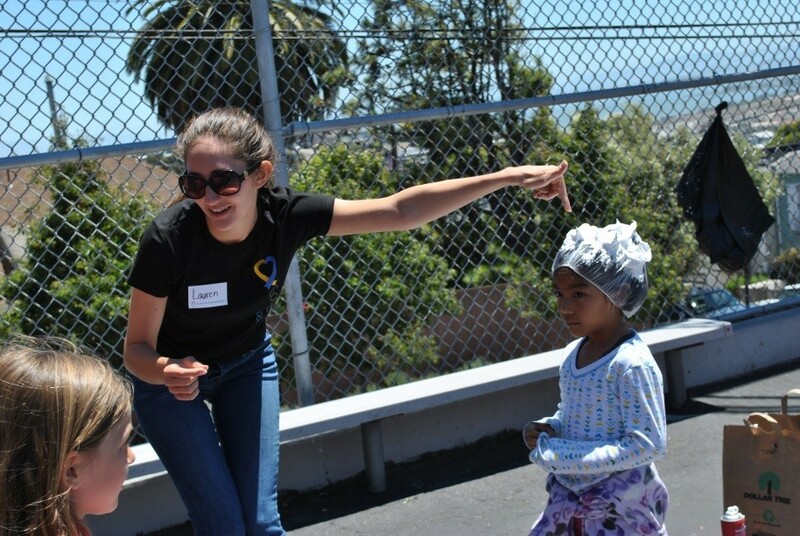 was so pleased to participate in Google’s volunteer project, Google Serve. Google Serve is a month long event that connects Google employees with volunteer projects. Google sets up hundreds of volunteer projects in the Bay Area alone to facilitate their employees getting involved with helping the community. One class from both our elementary and middle school camps were able to visit Google offices in San Francisco. The kids had so much fun playing in the arcade with the Googlers, sampling free food, and even visiting the secret rooms in the “broom closet”. 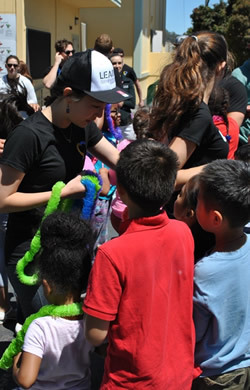 We also had a huge group of 50 Google volunteers come on site to celebrate our summer program’s Field Day. Our children had a blast with Googlers playing some pretty awesome games. A Google favorite was the Cheeto hat. 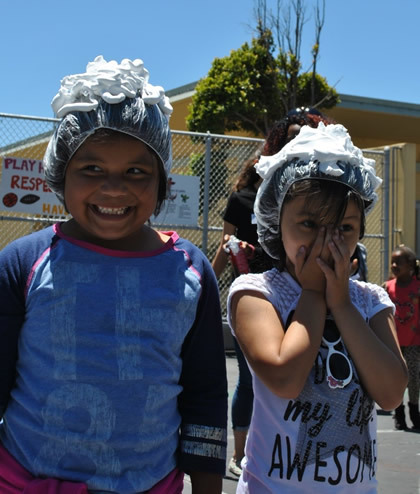 One child covered their head with a bathing cap and then shaving cream was sprayed on top. Other kids had to throw Cheetos and try to stick as many Cheetos as possible onto their teammate’s head . Pictured here is one of our most committed Saturday Skill Drills volunteers, Michelle Luo, who is a Google employee and got to join us for Field Day. The kids she usually works with at Skill Drills were thrilled to see her and Michelle was excited to get to spend her work day with the kids. She really loves that she works for a company that goes to such lengths to incorporate volunteering and community involvement in their corporate culture. She says that Google makes it easy by setting up so many projects, that it was a little bit overwhelming to pick just one. We were happy to participate in Google Serve projects, and hope to see more Googlers at R.O.C.K. soon!